Good News friends! West Bengal Staff Selection Commission (WBSSC) has just published the result of Combined Graduate Level (CGL) 2014 written exam which was conducted on 12th April, 2015. After around two and half months, the result of written test has been published. 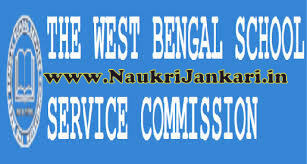 There are total 4 posts which will be recruited through WBSSC CGL exam. The posts are- Backward Classes Welfare Inspector, Minority Development Officer, Research Investigator and Fishery Extension Officer. The cutoff marks for different posts have also been released. We are giving here the details of category-wise cutoff marks of WBSSC CGL 2014 exam. To view WBSSC CGL 2014 result status, check here. So friends, what is your score and result status? Share with us as comments. 0 comments for " WBSSC CGL 2014 Result declared: Cutoff Marks released "